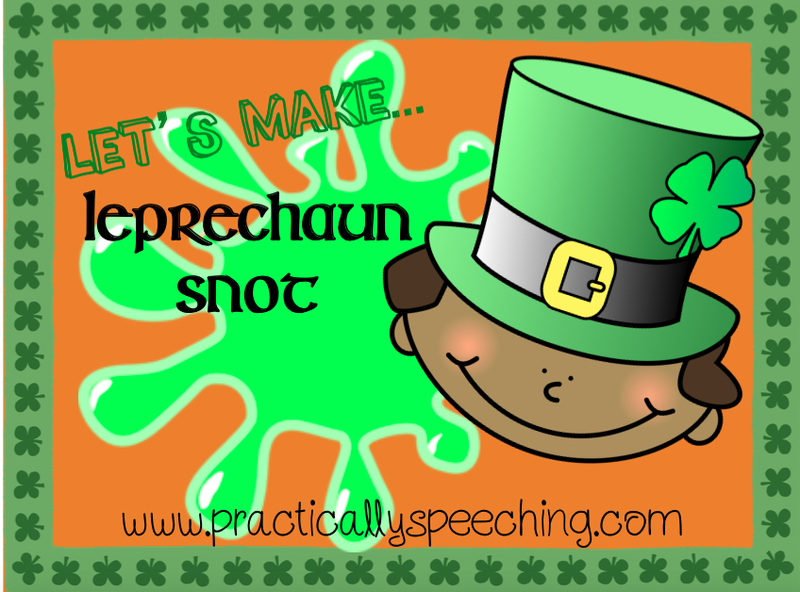 Leprechaun Snot...A St. Patrick's Day Science Experiment! I love a good science experiment in Speech, and this one is AWESOME! It's simple enough that you can do it with any age, but leaves enough room to go high with it. 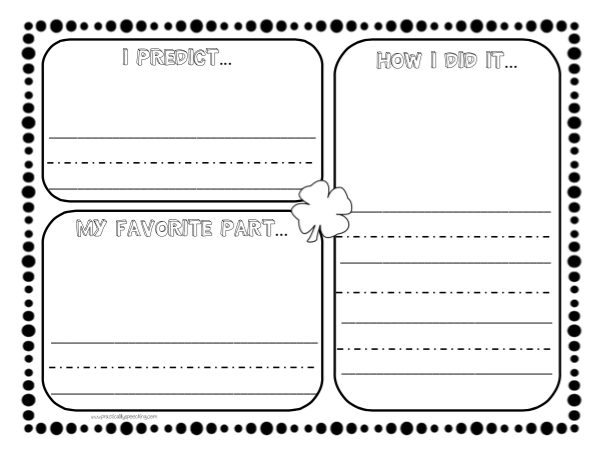 I'll be focusing on sequencing, making predictions, and the 5 senses next week. 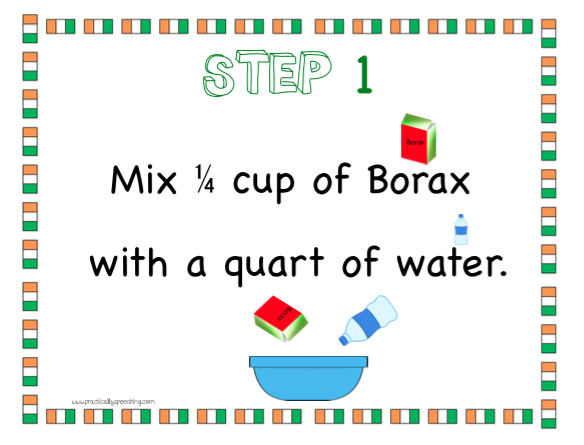 The experiment is super kid-friendly, all you need is water, borax, clear glue, and green food dye. your kiddos some background when they hear or read the instructions. 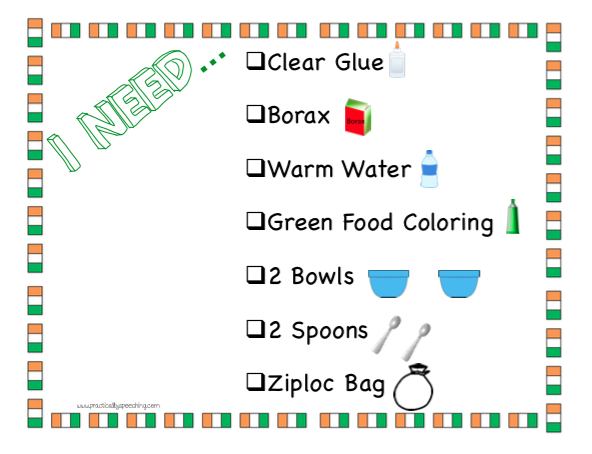 I provided the instructions and ingredients on separate pages to laminate and hang up, that way your kids can check if they're following the steps - all about those strategies! I also have kiddos check to see if they have all the ingredients before they begin. Sometimes I will hide an ingredient to teach how important it is to check! 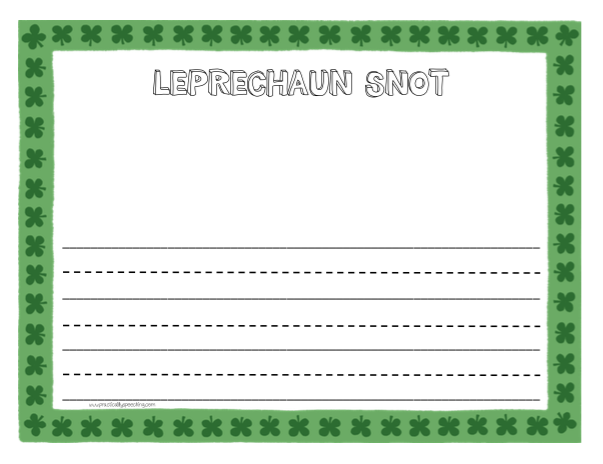 If you have older kiddos, or kiddos you want to target writing with, I included two open-ended writing task worksheets with "Leprechaun Snot" as the title! Oh, and as always, there is carryover at the end for you to print! 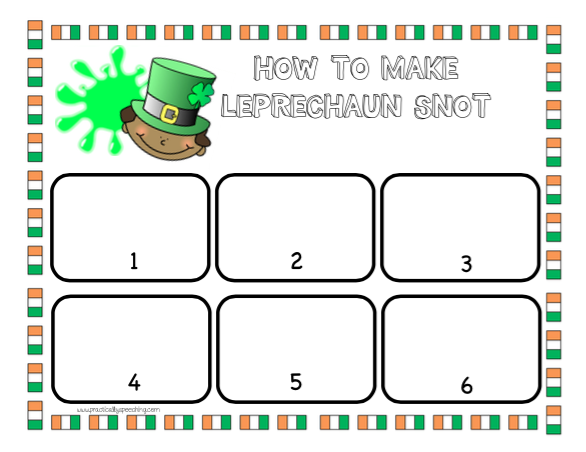 Download this activity HERE on TpT - it will be free until 3/15/15!